While the leaves are just starting to turn, the Habitat for Humanity ReStore is already looking towards the holidays. 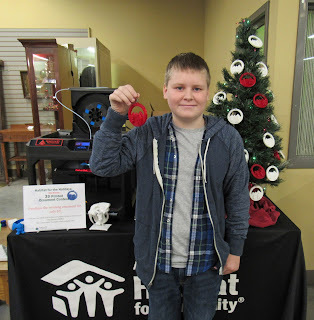 October 1st marks the opening of its third annual “Habitat for the Holidays: 3D Printed Ornament Contest”, sponsored and facilitated by local 3D printing company Spectra3D Technologies. The contest is open to the public and 3D novices are encouraged to approach it as a learning opportunity. For contest guidelines, a how-to webinar and other free resources to get started in the 3D printing world visit www.HabitatOrnamentContest.com. The contest runs until 11:59pm on November 22nd. The winning ornament design will be printed in multiples and sold to the public at the Asheville Habitat ReStore (33 Meadow Road, Asheville) starting at 11:00AM on December 3rd, when the winner will be announced and the ornament revealed. Following will be a live 3D printing demonstration by Spectra3D Technologies. Last year, the 3D company received more than 60 entries to the contest, and a young Jacob Whitten, then a 7th grade student at Enka Middle School, was chosen as the winner. 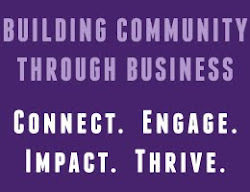 All proceeds from sales related to this contest will benefit Asheville Area Habitat for Humanity. The winning designer will have his or her choice of a $100 ReStore gift card or a 3Doodler, a 3-dimensional printing pen.